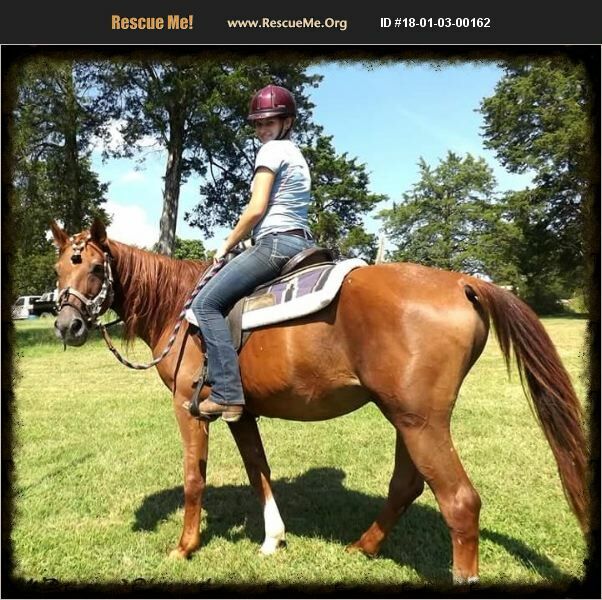 Crescent is a 14.3hh sorrel gelding. He is about 11yrs old and has been well started in his training since coming to MAR over a year ago. He has been used to teach beginner walking lessons and loves grooming almost as much as he likes trailrides. Having been a herd Stalliin most of his life he has some scars and if turned out in a group, he does best with the mares. He has never been shod but due to old coronet injury, he does need regular hoof trims. Crescent has very nice stall manners, rides in a halter, natural horsemanship, French snaffle or hackamore, does not do speed or jumping and is used to cattle, sheep, goats, donkeys, chickens, dogs and various noisy tractors and farm equipment. Rider weight should not exceed 200lbs including tack. Adoption fee will go up as training increases.